At the time of writing, it isn’t clear yet what the root cause of the error really is but there are several potential fixes you can check out to fix it. You can try to run the System File Checker or set the default value for the .vbs key, or troubleshoot the problem in a Clean Boot State. You could also try to repair Install Windows 10 or scan your computer for malware. For more detailed instructions refer to the following options. 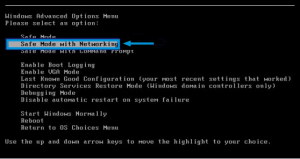 In the Windows Start Search, type “command prompt” and right click on Command Prompt from the search results and then select the “Run as administrator” option. After opening Command Prompt with admin privileges, type the “sfc /scannow” and tap Enter to execute it. 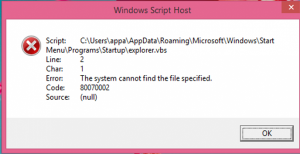 Once the scan is finished, restart your computer and see if the Windows Script Host error. Tap the Win + R keys to open the Run dialog box and type “regedit” in the field and tap Enter to open the Registry Editor. From there, double click on the default string and change its Value data to “VBSFile”. Exit the Registry Editor and restart your computer for the changes to take effect. Setting your computer in a Clean Boot State can help you diagnose and later troubleshoot the problems in your computer. During this state, the system will start with a minimal number of drivers and startup programs that helps in isolating the problem with the interfering software. To put your computer in a Clean Boot State, follow the given steps below. First, you have to click this link and then click the Download Tool Now button. It is possible that your computer is infected with a malware which could be why you’re getting the Windows Host Script error. Thus, you need to scan your computer using Windows Defender. Tap the Win + I keys to open Update & Security. Then click on the Windows Security option and open Windows Defender Security Center. Next, click on Virus & threat protection > Run a new advanced scan. Now make sure that Full Scan is selected from the menu and then click the Scan Now button to get started. In addition, aside from Windows Defender you need to run a reliable program like Advanced System Repair. This program helps in fixing not just a lot of system issues on Windows 10 but is also efficient in removing any malware in your computer. 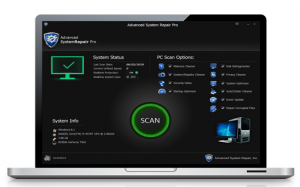 This program is a one-click solution that helps in fixing lots of system issues such as corrupted files, corrupted registries and it also helps in optimizing your PC’s overall performance as it cleans out any junk files in your computer and other system issues that causes your PC to slow down. To use this efficient tool, follow the instructions below.